We offer a variety of state of the art lab equipment. 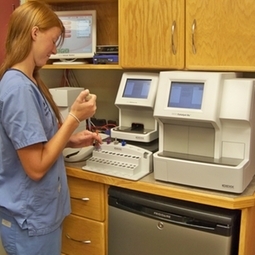 Our in-house labratory allows us to provide fast and accurate test results virtually within minutes! We offer comprehensive diagnostic panels as well as preventative care screenings.